Deep purple color. Aromas and flavors of chocolate nuts and citrus peels, flowers, and spiced berries and plantains with a silky, bright, dry-yet-fruity medium body and a silky, brisk finish revealing nuances of vanilla and chocolate custard, huckleberry and tomato relish, peppered nuts, and slate with fine, chewy tannins and a suggestion of oak flavor. A juicy and bright malbec that drinks a bit like a Cru Beaujolais. 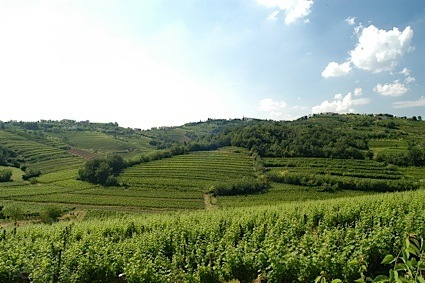 Bottom Line: A juicy and bright malbec that drinks a bit like a Cru Beaujolais. 87 • Frey 2015 Pinot Noir, Mendocino 12.1% (USA) $15.00. 87 • Frey 2015 Pinot Grigio, Mendocino 14% (USA) $18.00. 80 • Frey NV Rosé, Redwood Valley 12% (USA) $9.00. 93 • Frey 2015 Spin, Chardonnay, Mendocino 13.5% (USA) $15.00. 88 • Frey 2015 Sauvignon Blanc, Mendocino 13.4% (USA) $14.00. 83 • Frey 2014 Sauvignon Blanc, Mendocino 12.1% (USA) $20.00. 83 • Frey 2015 Organic, Syrah, California 13.6% (USA) $15.00. 86 • Frey 2014 Organic, Petite Sirah, Mendocino 13.6% (USA) $15.00. 88 • Frey 2015 Organic, Cabernet Sauvignon, Mendocino 13.4% (USA) $16.50. 88 • Frey 2015 Organic, Merlot, North Coast 13.4% (USA) $15.00. 88 • Frey 2015 Organic, Sauvignon Blanc, Mendocino County 13.4% (USA) $14.00. 88 • Frey 2015 Biodynamic, Merlot, Mendocino 13.2% (USA) $20.00. 89 • Frey 2015 Biodynamic, Cabernet Sauvignon, Mendocino 13.4% (USA) $20.00. 89 • Frey 2016 Organic, Merlot, North Coast 13.7% (USA) $15.00. 85 • Frey NV Dry Rosé, California 13.8% (USA) $9.00. 88 • Frey NV White Zinfandel, Mendocino 12.4% (USA) $9.00. 84 • Frey 2014 Estate Grown & Bottled, Sauvignon Blanc, Mendocino 12.1% (USA) $20.00. 89 • Frey 2015 Cabernet Sauvignon, Mendocino 13.4% (USA) $16.50. 89 • Frey 2016 Chardonnay, Mendocino 13.9% (USA) $15.00. 85 • Frey 2016 Sauvignon Blanc, North Coast 13.4% (USA) $14.00. 89 • Frey 2016 Pinot Grigio, Mendocino 13% (USA) $18.00. 84 • Frey 2016 Gewurztraminer, Mendocino 13.6% (USA) $14.00. 84 • Frey NV Agriculturist Rosé, Mendocino 13.9% (USA) $12.50. 88 • Frey 2016 Syrah, California 13.5% (USA) $15.00. 88 • Frey 2015 Biodynamic, Petite Sirah, Mendocino 13.9% (USA) $20.00. 90 • Frey 2016 Viognier, Lodi 13.9% (USA) $15.00. 89 • Frey 2016 Petite Sirah, Mendocino 13.9% (USA) $15.00. 80 • Frey 2007 Organic Totality Sparkling Wine, Sierra Foothills 13.3% (USA) $48.00. 89 • Frey NV Natural Red Blend, California 13.9% (USA) $9.00. 82 • Frey 2016 Merlot, North Coast 13.7% (USA) $15.00. 90 • Frey 2016 Malbec, Mendocino 13.9% (USA) $15.00. 90 • Frey 2017 Biodynamic Field Blend Red, Mendocino 13.9% (USA) $16.00. 85 • Frey 2016 Pinot Noir, Mendocino 13.7% (USA) $18.00. 84 • Frey 2016 Pinot Grigio, Mendocino 13% (USA) $18.00. 87 • Frey 2016 Pinot Noir, Mendocino 13.7% (USA) $18.00. 86 • Frey 2017 Sauvignon Blanc, North Coast 14.1% (USA) $14.00. 86 • Frey 2017 Merlot, Mendocino 14% (USA) $15.00. 84 • Frey 2017 Chardonnay, Mendocino 14% (USA) $15.00. 81 • Frey 2017 Sauvignon Blanc, North Coast 14.1% (USA) $14.00. 84 • Frey 2016 Biodynamic, Sauvignon Blanc, Mendocino 13.7% (USA) $20.00. 83 • Frey 2017 Pinot Grigio, Mendocino 13.5% (USA) $18.00. 89 • SPIN 2015 Chardonnay, Mendocino 13.5% (USA) $15.00. 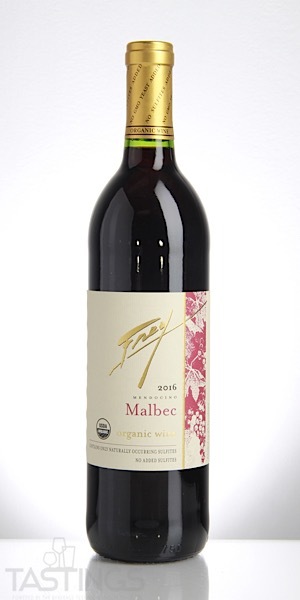 Frey 2016 Malbec, Mendocino rating was calculated by tastings.com to be 90 points out of 100 on 9/26/2018. Please note that MSRP may have changed since the date of our review.